Although players are always looking for the best putting drills to solve all of their putting woes, there is more to becoming a good putter than just having a good putting stroke. There are three facets that all good or great putters have. First, they all can start the ball on the intended start line. Second, they can control the speed that the ball rolls. Thirdly, they must be able to determine a proper read for the putt that they are about to attempt. This last part is the one that most players that struggle with putting often leave out of their practice routine as they think that it is one of those things that you either have or you do not have. Concentrating on putting stroke drills, let’s take about the other two things that all good putters possess, good distance and direction. Some instructors will say that distance is much more important that direction. We think that depends on the length of the put… but… that is for another post. J When needing to work on your distance control, many players turn to lag putting drills. Obviously, the drill that will suit you best will be determined by your current skill level and needs. If you are not working with an instructor, I would suggest trying multiple to find a speed drill that you like. Now… with this being said… it does not mean that it is an easy putting drill. When doing any drill, you need to determine a baseline of performance and then challenge yourself. If the difficulty of the drill is only a five on a scale of one to ten, then you need to change it to make it more difficult. You want to settle where the difficulty is approximately a seven out of ten. If you get onto the 9 or ten out of ten, the putting exercise to too difficult for you. An example of a putting drill for distance control would be to place a tee in the practice putting green. Go to a distance say 20 feet with three golf balls and stroke them. The goal is to have one ball finish past the tee, one finish at the tee and one finish short of the tee. Now go to a different distance and do the same thing. You can do this by yourself or with others. You can make a game of it by assigning points to different putts. Another example of putting drills with tees would be to place two tees into the practice putting green. Place one two feet farther away from the other tee than where you are going to be putting. Again, take three balls with you and you want to stop all three balls in between the two tees that you have placed in the putting green. Repeat from a different distance. The majority of the line that the ball takes off of the putter face is determined by the direction that the putter face is pointing at impact. What I like to have players do is stroke putts from only two feet. I simply call this the two feet drill. They are asked to make putts in the center of the hole as well as the right and left side of the hole, from the same starting position. The great part about this drill is that… yes… you are working on the start direction and you can see where the putt starts… but… it is pretty difficult to miss from two feet. In turn, the player sees the ball go in the hole over and over, building confidence. Another way to check the direction of your putter face at impact by using the gate drill. With this exercise, you will place one tee just outside of the toe and one tee just inside the heel of the putter. This will help you see which angle the face is pointing at impact. In addition, it can help you improve your path if you have a problem, with that. We get asked all of the time, what is the best putting drill for ____________ (juniors, ladies, seniors, beginners, etc.) One of the fun things about putting unlike the full swing, strength is not an issue. What I mean by this is that anybody can compete with anybody on a putting green. (Watch out husbands!) 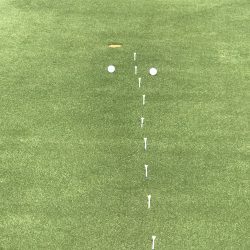 So in determining which putting drills would be best for you, it comes down to your current skill level and where your current challenges lie. 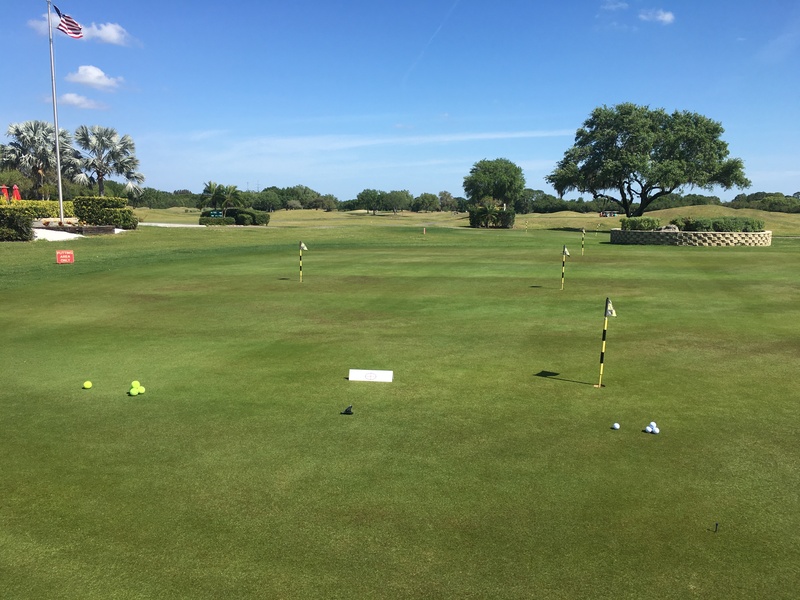 When it comes to determining which putting drill for kids to use, it comes down to their current skill level and what their short and long term goals are. For example, the less experienced a junior player is the more I want to keep it fun and very game-like and less drill-like. As they develop and start to play competitive tournament golf, the drills may become more putting stroke oriented. This would be more of a block practice situation. However, with that being said, even this player would also be using a game-like putting drill during the same practice session. When beginner golfers learn to putt, I like to use the two-foot drill that was discussed earlier. Yes, they will miss the hole sometimes even from two feet but this allows them to see and feel where the face is pointing. 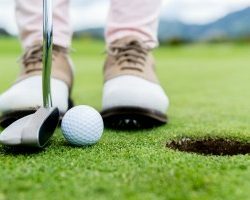 The good news is that even beginners will see the vast majority of putts go into the hole and hear that sweet sound of the ball hitting the bottom of the cup. Thus, building their confidence. A lot of ladies we teach have trouble with distance control. When a player struggles with this, it is easy to three-putt. One exercise that has helped many ladies to take a single ball to the putting green and simply roll it with their hand to a hole. Yes… Picture kinda like bowling. We ask them to pay attention to their arm swing. Just like if a person is standing where the hole should be, would they wind way up on the backswing and have a short follow through? No… so we work on them making the arm swing more even. Some ladies like to do this by themselves and others make a game of it and play with others. 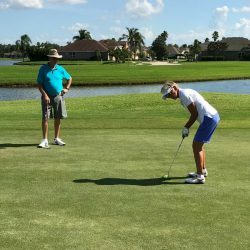 In working with senior golfers, they want to improve their play so bad and like the ladies, they can compete with anybody on the putting green. We all have played with the senior that does not hit it far but it is always straight and can putt the lights out of it. We then wonder what just happened! (Old Guys Rule) Haha All of the above drills are good to improve putting for senior golfers. Some may need to use some creative grips as they have some challenges from and illness or simply overuse over the years. Now you have multiple ideas of how to go and improve your putting. Tell us about how these work for you and tell us about your favorite putting drills that have lowered your scores! 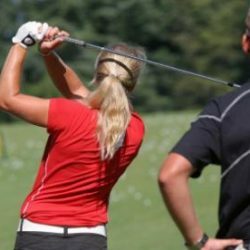 If you liked this article, become a member of The Ball Flight Academy! Change Your Ball Flight Today!